Here are some bloggers who blog about HKK (edited 2 April 2008) . I did my browsing through out the whole area around 12.30am. They are hundreds of crafts varieties to choose from. Met and chatted with few crafts "pengusaha," and stopped for a while at the demonstration area to see the traditional way of making a kite. I still think last year demonstration area was excellent and way more colourful than this year. Too bad they have changed its location. If you are going to be there, just try to allocate at least 2 hours so that you can really look around. 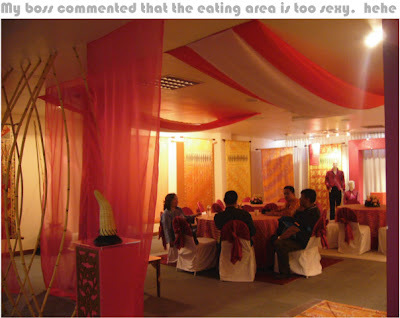 One hour is just enough for you to spend the area there more like the amazing race style. keke. I love some crafty stuffs from Sarawak and Sabah, and i guess, i will be coming back later around this week to get some nice stuffs there. They are few good rattan stuffs too - from DP design, Cane Furniture (which is in the buyer meets area) and Kak Hasnah (loved the handbags). I think last year layout was better than this year, and that doesnt mean that this year HKK is a bit dull. Well, at its 6th birtday, HKK should be able to handle itself very well. Well, if you are into arts, there is also this artist colony's area. Lots of nice illos are sold there by talented local artists. It is more like what you get at Central Market. I happen to get a chance to meet Nora Tamby (doing her batik illos. Love em) and Abang Zaki (illustrators.) 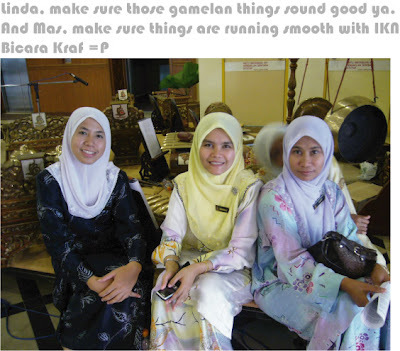 I have known Nora since my time in RnD and Abang Zaki just this afternoon :) . Abang Zaki works are truly beautiful. Excellent i must say. Love the work that he is working on. Both of them are such nice chaps you know. You can commissioned them to do your art works too. If not, why dont you find something that would suit your budget. There are small artworks if you like. Postcards would do nice to your home decor. I think i ll do a proper interview next time since i was in a hurry when i met them. 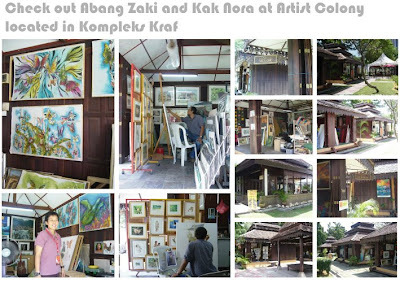 Ohh, do visit their galeri at Galeri melor if you happen to go HKK in Artist Colony area. Both of them are sharing the same wakaf (Galeri melor)- Kompleks Kraf Seksyen 63, Jalan Conlay, Kuala Lumpur. Ohhh my, I just received a sms notifying me about HKK launching by PM tomorrow. Never thought Kraftangan Malaysia would promote via sms this year. I guess changing the date has taken its toll and I am sure PR is now having a Kaput time. hehe. Sory yaa Wanie, jgn marah if you happen to read this. 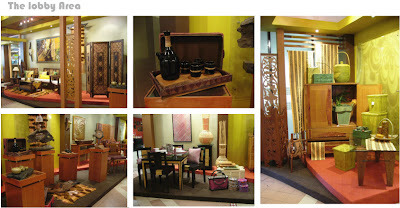 Here is the rattan set which i like - from cane furniture in Buyers Meet section. Well, i think this is the first post ever that i have used multiple pictures. Anyway, once again, do drop by to HKK. 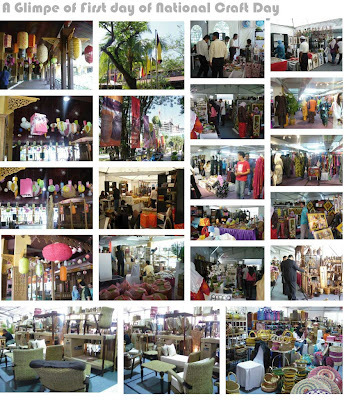 Do show your support of our Malaysia Crafts yaa by buying crafty items there. It is only once in a year that you can have them all in one place. You never know what is in store until you visit. Dont worry about food. There are multiple food stalls there. Ohh..You still have to pay though. Ohh, try to avoid tomorrow morning (28.03.2008) around 10.30 since PM is coming too but if you like all the glitters and hype associated launching ceremonies, then, be there at that time. :P I on the other hand, have been made compulsory to be there. Hehe. I am sure the traffic is going to worsen. Well even today by evening, traffic is quite bad. 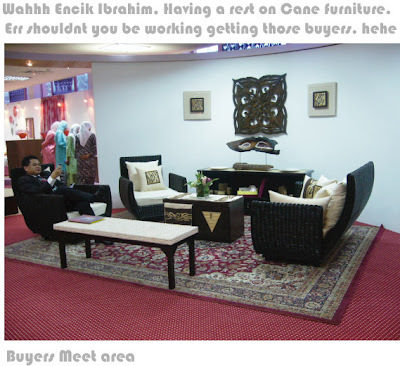 Only last night i went to ATC site, after reading kak emila's latest post. I think we should try joining ATC too rizal and make ourself busier. yeah, i ve visited ATC before. I did thought of joining ATC too. It does look fun. Aiyaaarghh..then i ll be crying laa as i am shuffling many jobs rite now... huhuhuhu.. Yay!! Nanti saya drop by this weekend! See you there! Eh, come la join the ATC fun! You and Manggis will get to collect original arts from all around the world!! hehe.. kak emila, if you want to drop by weekend.. just give me a call.. sebab i wont be there during weekend. cuma sampai besok then sambung balik 01.04.08 on tuesday. If weekend, just give me a call sebab my house is quite near dgn Kompleks kraf. Dalam 5-10minit boleh sampai..hihi..
speaking of atc, tuu laaa, cepat sungguh mango ni bertindak, semenjak kata nak berjinak2 dgn dunia ilustrasi ni.. boom badeboom ba bommm lajunyer dia.. hihihi..
i will, i will after settling few things first. :) thanks for the encouragement. waduh mantap gitu..jadi..book aja kapal terbang..lantas dari riau ayuhh ke mari terus ke Kuala Lumpur. menarik sungguh artist colony itu...hehe, macam memangil-manggil. if not mistaken i've been there 2@3 times but didn't visit the kompleks. just pegi makan je kat kafeteria. ohhh yer ker? ni musti pergi makan time lunch kot? sebab kalo lunch memang banyak orang luar makan situ. tak pe laa, datang jerr hari weekend ni. Kalo tak pernah rasa HKK, just pergi kunjung la. Hari biasa kompleks kraf tuu biasa jer..
You're a terrific artist and writer. Good luck on the shows. I enjoyed my visit to your blog. I'll be back for sure. thanks for dropping by, i love your watercolour works. Glad that you enjoy your stay. do come again ya..
i was busiest at ith most on the weekdays. Now i can just relax. maybe i ll be going there again this weekend.. but i am not sure though.. how things are looking in nepal? tak perr laaa, settle satu banyak lagi benda nak kena settle. Nak set up tuu pun mcm2 isu kecoh..
hahaha ptg tadi plan nak pi sana malam tapi tetiba cancel. tak per, datanglah ke HKK. masinh ada sampai 7 hb April. we did try previously to transport the whole complex to danga bay. We did try to bend the space. Un fortunately, there were few vortex that could jeopardize the whole operations. In addition, we detected lots of voids in the channels - thus further dangering the attempt. We decided to the the usual methods by lorries but then, we were sure we would be having nightmares on logistics and costs. 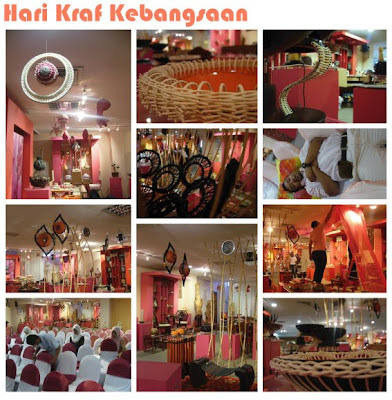 so, finally, we decided HKK would remain here.. in Kompleks Kraf. Hi, great write-up! I made a link to this, hope you don't mind.. thanks! wah...brahim apa citer..jadi pengarah sudah eksen ye skarang,bila mau turun london ni?kecek cik lah suh bawak oi..miss u all..
ps: brahim begitu rilex nampak?